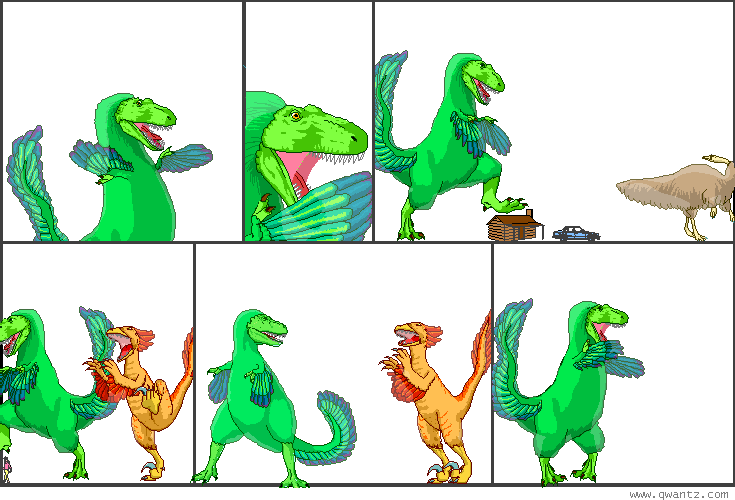 Dinosaur Comics - October 25th, 2004 - awesome fun times! –You turn to run, hating the strange, corrupt part of you that wants to stay! This comic is from October 25th, 2004! I didn't write things down here back then. Or maybe I did, and they are now LOST FOREVER. But here is a random merchandise image; perhaps you are... tantalized? One year ago today: i'm going to solve mysteries!